If you missed this event don’t fret! The design heads behind Creative Corner have produced a video series from ‘Think Design, Create Emotion’ as part of our living archive called Creative Corner Uncut. Wow, Wow, Triple Wow doesn’t even come close to how we feel and what you can expect from Creative Corner this month. 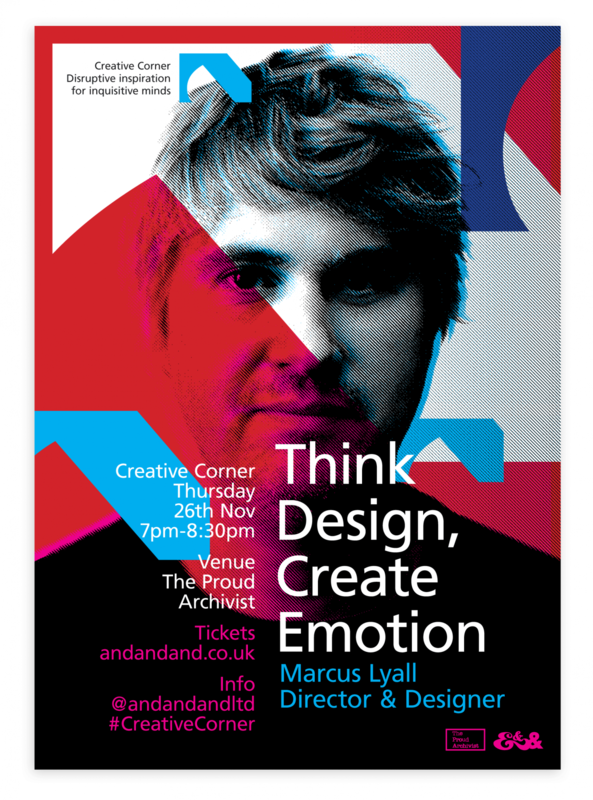 Sharing the low-down on emotion and design will be the inspirational Marcus Lyall, the director & designer whose films and design for large-scale live experience’s have been intoxicating audiences since he graduated from Central Saint Martins in the early 90’s. His creative approach has led him to direct film content for world tours for artists including Metallica, Bon Jovi, U2, and The Rolling Stones. 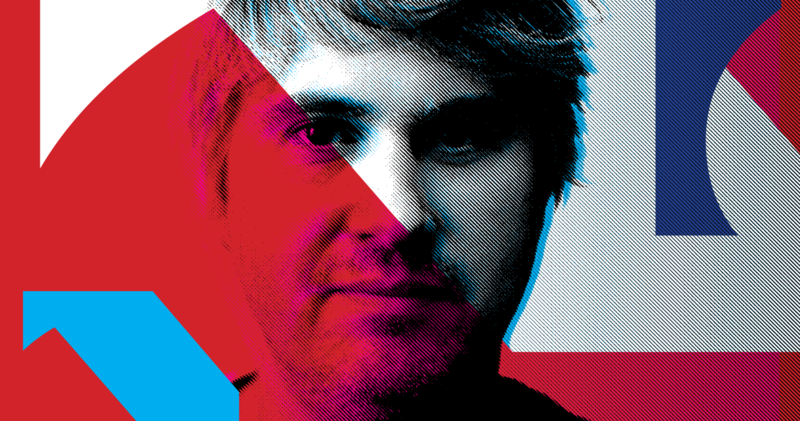 What blows our mind is the experience he brought to ‘The Chemical Brother’s World Tour’ as Co-Show Director. If that’s not enough, he’s revealed the unique playing style of Lionel Messi in the Adidas film ‘The New Speed of Light’ and transformed a London square into a lightshow for Deadmau5 and Nokia. But best of all, he’s one of the nicest creatives we know. His interest in creating genuinely compelling experiences has led to his latest collaborative project ‘On Your Wavelength.’ An interactive light and music composition controlled by your mind. Yes! You did read that right! Marcus will be sharing his thoughts and techniques on how to connect emotionally with an audience. Grounded on his principle, ‘it’s not what you put into it, it’s what your audience gets out of it’. And bringing the concept ‘drama is conflict’ to life. Sharing what you need to succeed in the shifting creative landscape. Back by popular demand will be the compère Isabel Tims. Hot from the Wapping success of Octobers Creative Corner ‘The importance of tearing up the rules in design, code and music’ held at The Docks at Tobacco Dock. We are very proud that Creative Corner will be sparking the conversation at the cultural and entertainment hub that is The Proud Archivist. Situated on Regent’s Canal near Shoreditch High Street or Haggerston Overground Station. Stay posted on Twitter as there will be more updates as the design heads ramp up the disruption that Creative Corner brings. Ranging from our creative goody bags to live illustrators. Emotion is the part of design you can’t automate. If you’ve not yet experienced the disruption that Creative Corner brings look no further than Creative Corner Uncut ‘The importance of tearing up the rule in design, code and music’. 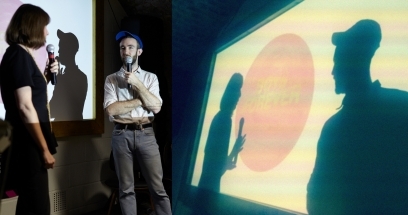 Where Simon Brown, Jure Cuhalev and Patrick Doyle turning the night into a Wapping success. Our aim at Creative Corner is to inspire and educate creative’s through shared experiences revealing the changing landscape of our creative industry, what it’s really like and what you need to succeed. Each month you will hear from talented young creative’s to industry figureheads revealing the need-to-knows about the changing landscape of the creative industry. Together getting the design community to talk, work.